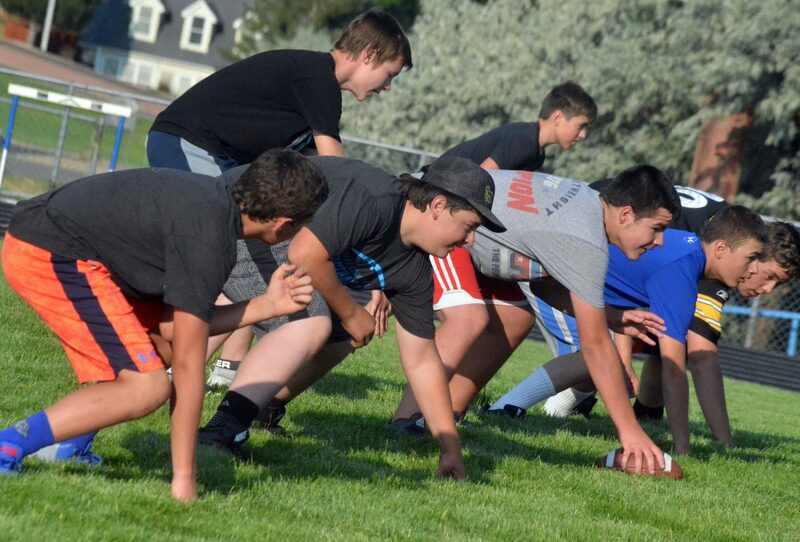 Members of the Craig Middle School offensive line get in formation during a drill Tuesday at the Bulldog Football Camp hosted by Moffat County High School. As the gridiron season gets in gear for Moffat County High School and Craig Middle School alike, Bulldogs at both levels are picking up steam. MCHS football’s camp provided two nights of drills and scrimmages Monday and Tuesday at the Bulldog Proving Grounds as the athletes joining the seventh- and eighth-grade teams this fall got a crash course in what will be expected from them in years to come. MCHS coaches and varsity players provided instruction in the game for CMS, namely the different playbook under first-year Bulldog head coach Jamie Nelson. 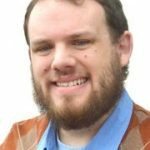 Nelson noted an emphasis on a rushing offense with some passing at the middle school level, as well as prepping linemen for what they’ll see in the future. Maneotis said it also challenges him to rethink his calls as a coach. An athletic meeting — for fall sports including football, volleyball, cross country and cheer as well as winter and spring sports — takes place at 5:30 p.m. Aug. 16 at CMS. For football, an equipment checkout starts at 8 a.m. Aug. 17, moving into early morning sessions the week before the start of the school year and after-school practices beginning Aug. 27.